Today I have a really quick and simple DIY. Yup, fresh Aloe Vera Juice (AVJ). This bad boy has been in my routine on and off for a while but for whatever reason I sometimes forget about this little gem. I already wrote about the benefits of using AVJ for everything (hair, skin health) please read here before applying it (especially if this is new to you). In my previous post I just briefly explained how I make my own AVJ so I decided to record a quick video since I was preparing a new batch. So obviously I add AVJ to my DIY mixes e.g. flaxseed gel, leave-in conditioner, deep conditioners spray bottle etc. I always mix AVJ with something (water/liquid/another product etc). Some people complain that AVJ makes their hair feel a little rough and dry so if you are not diluting it that probably is why. I usually use 1 part AVJ (which has vitamin E added to it) with no less than 2 parts or more water/liquid/product. Another reason why your hair might not “play nice” with AVJ could be because of the weather in your area. If you happen to live in cold and dry climates this can impact how your hair reacts to AVJ since it is a humectant that draws moisture in the air (humidity) to the area it is applied. So if the air is really dry then the opposite happens, there is no moisture for the hair to absorb and you can be left with hair that feels dry. If on the other hand you have extreme humidity in the air, you might notice “frizz” and that is because your hair is drawing int too much moisture and the hair strands become over saturated with water. So you might need to experiment to find out if your hair likes AVJ and you might need to figure out how to dilute the mix so you are not left with dry hair. I ALWAYS end up with super shiny and moisturized hair whenever I use it. TIP: Fresh AVJ does not necessarily smell nice so adding an Essential Oil E.g. tea tree, Peppermint, Grapefruit etc will not only help to extend the shelf life a little but will also help make it smell nice. Do you use AVJ? How do you use it and do you make it yourself? I would love to hear from you! 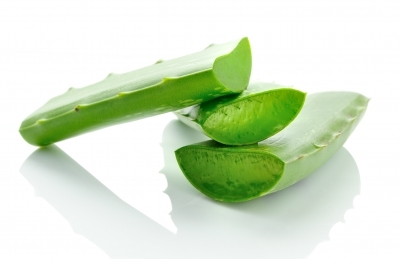 This entry was posted in Aloe Vera Juice for Hair, Aloe Vera Juice for Health, Aloe Vera Juice for skin and tagged Aloe Vera Juice, Aloe Vera Juice for Hair, Aloe Vera Juice for Health, Aloe Vera Juice for natural hair, Aloe Vera Juice for Skin, AVJ, DIY Aloe Vera Juice, Homemade Aloe Vera Juice, How to make Aloe Vera Juice on May 31, 2015 by Maicurls. Thats a great idea and will do, will let you know of results, thank you so much and your hair is gorgeous and sooo healthy!!!! Awesome vid! I buy/use the gel and I make my own custard. Sometimes the results are great and sometimes not. I live in FL where it’s summer 365. Kudos to you! Thank you hun 🙂 Please do tell me more about this custard if you don’t mind, you have me curious lol. Do you have a recipe on your blog? It is pretty much summer here 365 too, our “winter” by most people’s standards would count as their summer lol.